Brand new to the homestay market Lemon Tree Cottage is private and secluded. 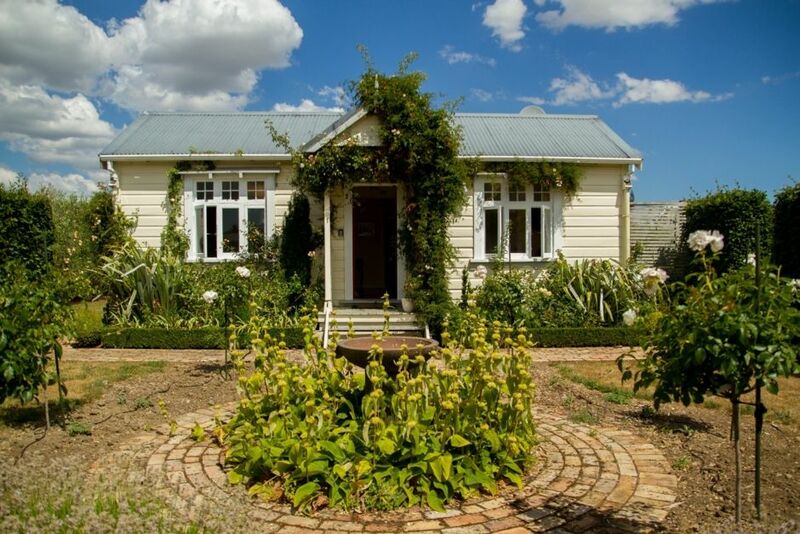 The perfect place for a couples weekend away, four friends or a small family to enjoy all the Martinborough region has to offer. Fully fenced and dogs are welcome at a small charge. On arrival you will find two beautiful bedrooms with queen size beds. A lovely open plan kitchen and lounge opening out onto the deck perfect for relaxing with a glass of local wine. Our gas wood burner keeps the house nice and toasty in winter, curl up on the sofa with a book. Coffee, tea, sugar and milk are provided along with other treats to enjoy. Check in is from 2pm and check out 10am. We may be able to accommodate an earlier check in upon request. Smoking is permitted outside please use our terracotta ashtray provided. Long weekends have a minimum three night stay or three night charge. Event weekend have a minimum charge. Toast 2018 is available for a set price of $950.00 for three nights. We had a very relaxing stay in this great cottage. Stunning garden, great location and had everything you would need. We really enjoyed staying at Lemon Tree Cottage. It is very conveniently located within easy walking distance of the town. The cottage is beautifully furnished and has a lovely garden. Clean tidy cottage. Handy to everything. We loved our holiday in this super cosy cottage. The beds were really comfy and the house was well stocked. Only 2 mins to town and we really enjoyed the gorgeous garden and bbq area. Lemon tree cottage is a real gem . The Lemon Tree Cottage is a beautiful little place. The Lemon Tree Cottage is a beautiful little place. Perfect size for a couple get away. Clean, nicely decorated and well equiped (we're in love with the bathtub, the pans and milk foam maker thingy)! The weather wasn't very nice so we stayed inside a lot in the cozy lounge on the very comfortable couch. We had a great weekend and we'll definitely be back!